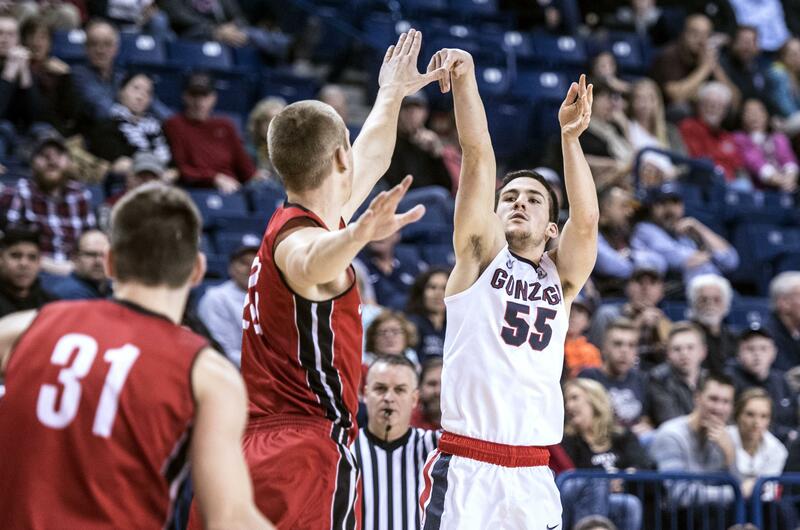 UPDATED: Thu., June 15, 2017, 4:27 p.m.
Former Gonzaga walk-on guard Dustin Triano will play his senior season of basketball at Western Oregon University. Triano, a graduate transfer, considered Arizona Christian University, Eastern Oregon, Corban and Seattle Pacific as well as a few other NAIA and Division II programs. Western Oregon, a D-II school in Monmouth, is coming off an 18-13 season that ended with a loss to Western Washington in the Great Northwest Athletic Conference Tournament championship game. “I like the coaches, I like the team and I think they’re going to be good next year,” Triano said. Triano played 163 minutes in 54 games with Gonzaga the last three seasons. The native of Canada connected on 50 percent of his career 3-point attempts. He redshirted in 2014. Published: June 15, 2017, 11:14 a.m. Updated: June 15, 2017, 4:27 p.m.